2009 Juneau Icefield Research Program (JIRP) researchers have been measuring glacier speed, amount of 2008-9 winter snow retained, daily snow loss, and weather to assess the changes to the icefield and specifically Lemon Creek Glacier and Taku Glacier, two of the Juneau Icefield outlet glaciers. University of Alaska Southeast (UAS) faculty Cathy Connor and Matt Heavner provided local Southeast Alaska information, mentored students, and collected snow data near the Taku Glacier / Mendenhall Glacier divide. The 2009 JIRP students are earning UAS Environmental Science Program credit for their research this summer. Portland Physics Professor Toby Dittrich, a 1969 JIRP student, is participating in celebration of the 40th anniversary of his first experience with the program. Toby is mentoring students and is guiding the mass balance program. Swiss researchers Florence Vaudan and Melanie Kunz are assisting with the GPS surveys of the icefield, continuing the JIRP summer tradition of an international group of students, faculty, and staff monitoring the icefield in Juneau’s backyard. The program, begun in 1946 under the direction of Dr. Maynard Miller, continues today as it evolves into a twenty-first century climate, glacier research and earth system science education experience. The JIRP program has trained many of Alaska’s (and the world’s) premier glacier researchers now studying climate change and glaciers throughout Alaska, Greenland, Antarctica, and the world. The program participants hail from Vancouver British Columbia, Portland OR, Salem MA, Rochester NY, Durham NH, LaGrande OR, Lawrence WI, Zurich Switzerland, Anchorage and Juneau, Alaska. On August 2, they skied 10 hours north to Camp 18 above the Gilkey Glacier (5600 feet), part of the headwaters of Berner’s Bay. 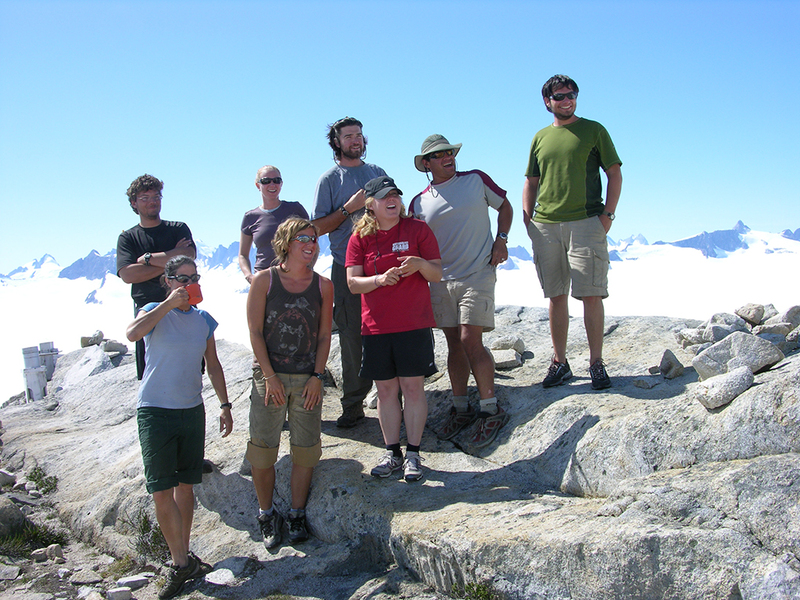 They are led by long term JIRP participant and this year’s survey team leader Scott McGee who is making his twentieth crossing of the icefield. This year’s preliminary data analysis indicates the Lemon Creek Glacier continues to lose snow and ice along its entire length. 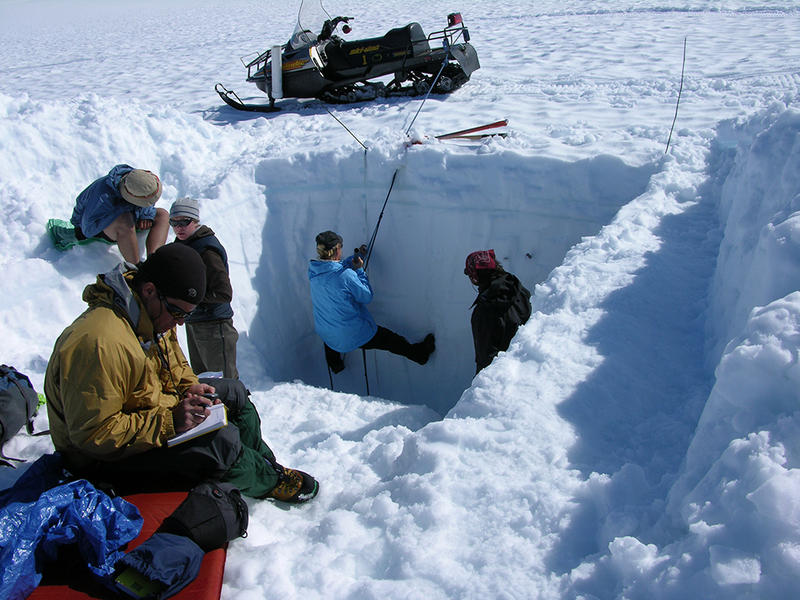 The loss on Lemon Creek Glacier between 2008-2009 was measured to range across the glacier between twenty-five to fifty-seven centimeters (ten to twenty inches). 2009 measurements from the middle elevations of the Taku system show a steady ice flow rate of sixty centimeters per day (twenty-four inches per day). This ice speed is consistent with the GPS measurements that have been made since 1993. Preliminary interpretation of the data collected from the middle elevations Taku system indicate that despite the last few years of heavy snowfall in Southeast Alaska, the Taku Glacier continues to show an annual snow and ice deficit. Overall the Taku Glacier remains healthy but continued monitoring efforts throughout this summer will assess terminus and upper elevation glacier behavior as well as provide insight about the icefield and Taku Glacier system response to the current warm temperatures and long term climate trends.